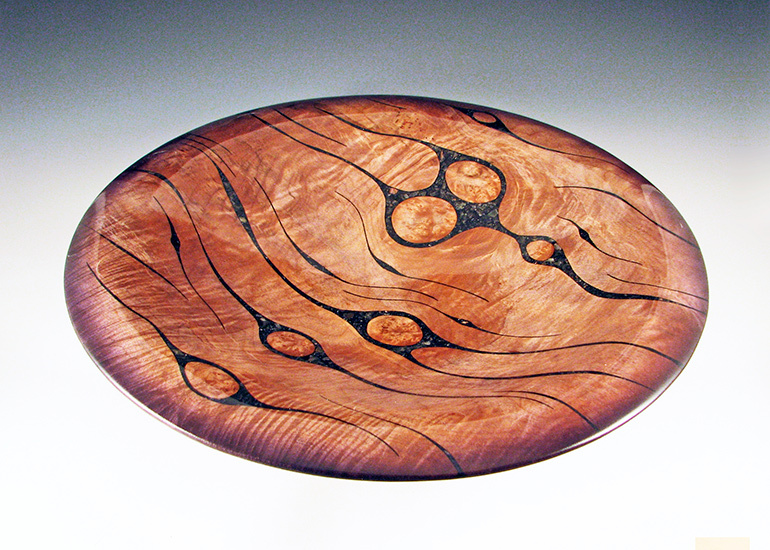 Materials: Curly bigleaf maple with burl inclusions and inlaid translucent minerals. Finished with metal-acid dyes and musical instrument lacquer. Comment: Inspired by my interest in cosmology. This piece also has three ebony feet and is intended to sit on a table, not in a platter stand.